Peter has over 20 years experience successfully investing in, and helping drive the scaling of, high-growth education, media, and information services firms. 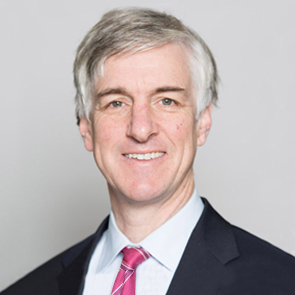 Peter began his career by providing senior and subordinated debt financing for leading high-growth media and information services firms at the Bank of New England, after which he joined Burr, Egan, and Deleage, the path-breaking growth equity firm focused on growth companies in the media and content services sectors. Peter then worked as a senior operating executive for several years before he was named a Partner at Generation Partners, a $345 million growth equity firm where he focused on the education sector for over 10 years. In addition to his investing experience, Peter has a passionate interest in social entrepreneurship, having served for 12 years on the Board of Trustees of the Echoing Green Foundation, which has provided seed funding to over 470 social entrepreneurs. Peter serves on Boards of Fuse Universal and Vistage International. Peter holds a B.A. from Middlebury College and an M.B.A. from the Harvard Business School. Peter is a director of EGP’s portfolio companies HCI, Apex Learning, and CAPP.